Main Informations: How to make Butter Bread Halwa? 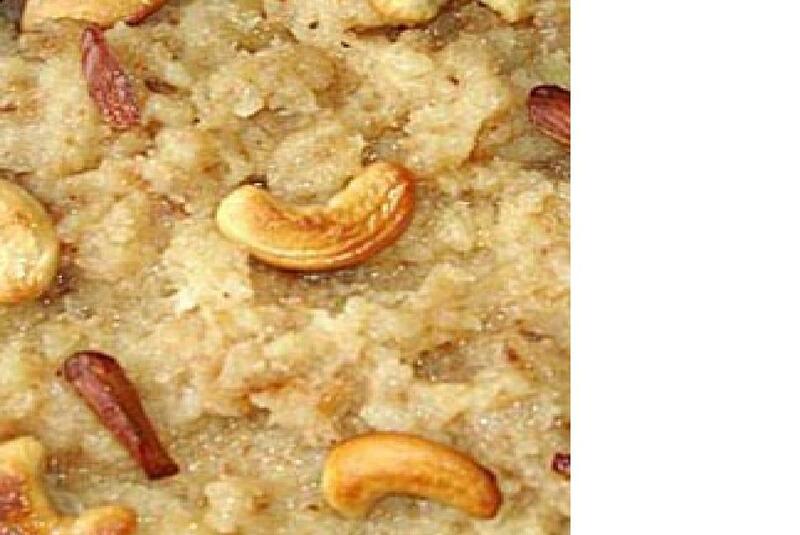 How to make Butter Bread Halwa? Purified butter - 6 tbsp. Green cardamom powder - 2 tsp. Dry nuts - 4 tbsp. Soak saffron in the warm milk and dice the bread into the small pieces. Then heat butter in a nonstick pan and fry the bread pieces till golden brown. The next step is add sugar and cardamom powder, mix them and pour as much water as needed to soak the bread completely but not too much. Add saffron. Then cook about 3 to 4 minutes. Then serve hot and garnish with nuts.